Anne Bonny who would go on to become a famous pirate operating in the Caribbean is born in County Cork. Bonny became mistress to the pirate Calico Jack Rackham bearing him at least one child. 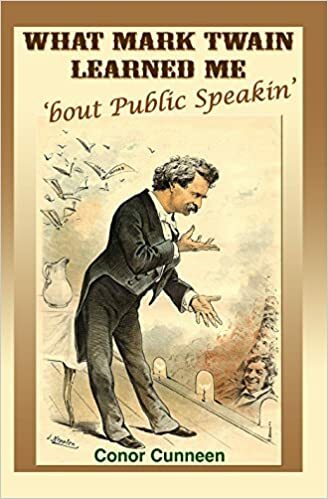 Daniel Defoe wrote what amounted to a biography of Anne Bonny in A General History of the Pirates which you can read at Project Gutenberg. 1702: Queen Anne of Ireland. Anne (6 February 1665 – 1 August 1714) ascends the thrones of England, Scotland and Ireland. 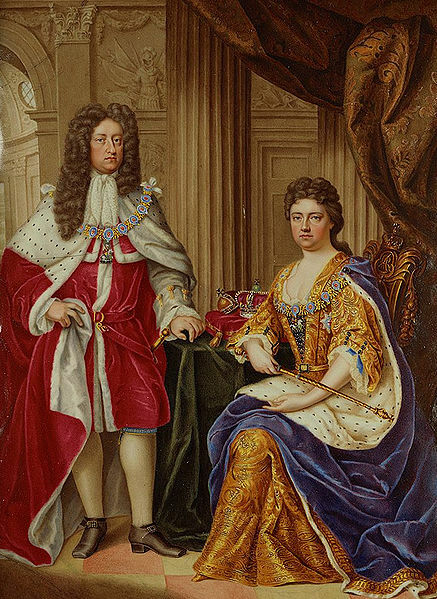 Queen Anne with husband Prince George. She had 17 pregnancies! 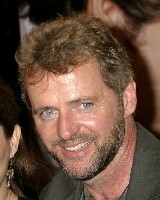 1959: Actor Aidan Quinn is born in Chicago to Irish parents. Quinn played anti-treaty politician Harry Boland in Neil Jordan’s movie Michael Collins. 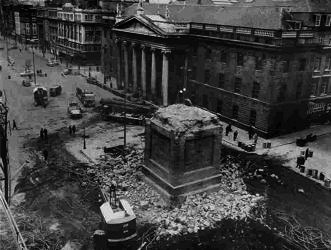 Irish republicans blow up Nelson’s Pillar in O’Connell Street Dublin. 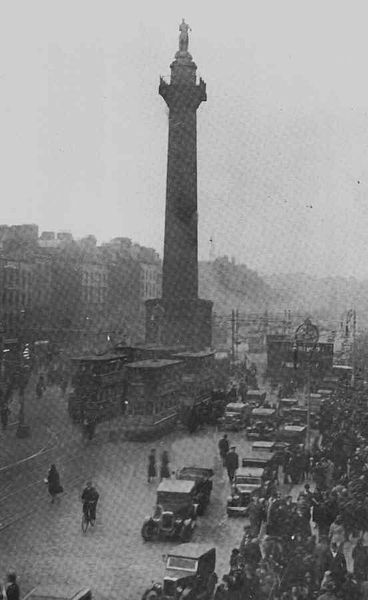 The pillar was seen by many as an anachronistic monument to English occupation of Ireland, especially as 1966 was the 50th anniversary of the 1916 Rising. The humorous song Up went Nelson sung by The Go Lucky Four was number one in the Irish charts for eight weeks in 1966! The IRA explodes two car bombs outside the Old Bailey courthouse in London, killing one person and injuring almost two hundred. 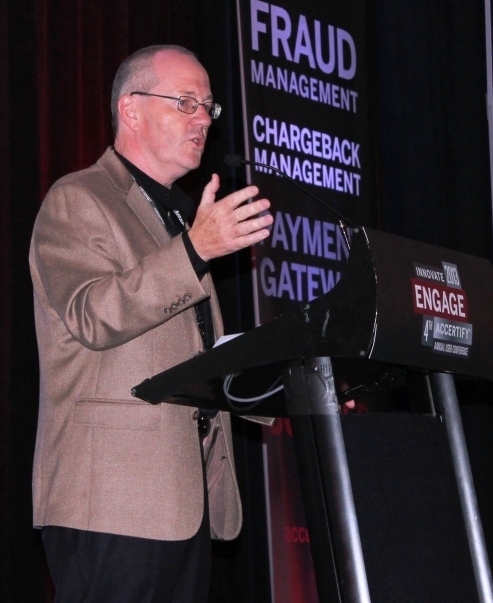 One of those convicted, nineteen year old Gerry Kelly escaped from the Maze Prison in 1983, but was recaptured in 1986. 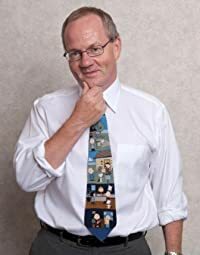 He went on to become a member of Sinn Fein’s negotiating team for the Good Friday Agreement, and also served as a Sinn Fein Assembly Member for North Belfast in the Northern Ireland Assembly.